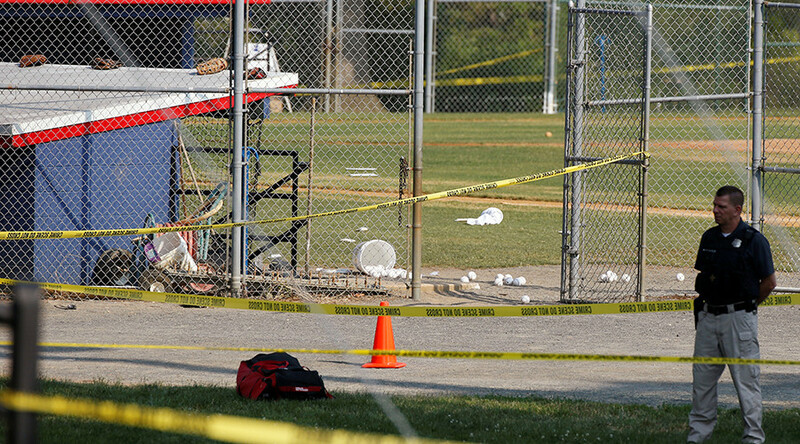 The gunman who fired at GOP lawmakers at a baseball field in Alexandria, Virginia, was “fueled by rage against Republican legislators” after the 2016 presidential election and “decided to commit an act of terrorism,” a new report finds. Bryan Porter, the Commonwealth’s Attorney for the city of Alexandria, found in his investigation that James Hodgkinson, the Illinois man who attacked a group of Republicans at a baseball field, had been “casing” the field for months before the shooting. 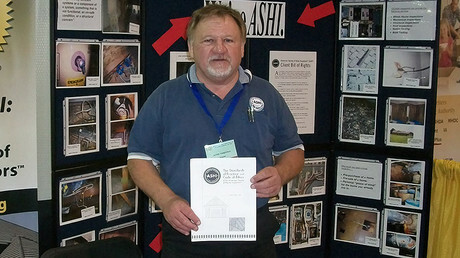 Hodgkinson, a 66-year-old unemployed home inspector, picked the location as his target months in advance according to witnesses who reported him walking around the field as early as April. The report states that Hodgkinson “held strong political opinions and was very unhappy about the outcome of the 2016 presidential election,” and that he spent a “significant amount of time” expressing his political views on social media. Before leaving his hometown in Illinois, Hodgkinson was also making vague statements about how he would “not be around much longer” to family members, the report said. “The evidence in this case establishes beyond a reasonable doubt that the suspect, fueled by rage against Republican legislators, decided to commit an act of terrorism,” Porter wrote. On June 14, 2017, a team of lawmakers were holding their regular morning practices at the Eugene Simpson Stadium Park when Hodgkinson shot House Majority Whip Steve Scalise (R-Louisiana) and three others. At 7:02am, Hodgkinson approached two members of the baseball team and asked them whether the practice was for the Democrats or Republicans. When they responded that it was for the Republicans, Hodgkinson responded, “OK, thanks,” and walked to his nearby van. Hodgkinson then grabbed a fully loaded Century Arms International SKS semiautomatic rifle and a Smith & Wesson 9mm handgun. 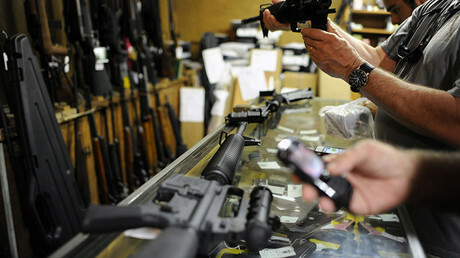 Hodgkinson, who had never been convicted of a crime, was able to purchase the guns legally in his home state of Illinois. Standing behind a fence, Hodgkinson fired 33 shots from his position near third-base until he was engaged by Special Agent David Bailey. Taking fire, Hodgkinson ran to another position behind home-plate, where he fired another 29 shots at Special Agent Bailey and Special Agent Crystal Griner. After police arrived, they were able to neutralize Hodgkinson. In total, officers fired at least 40 rounds at Hodgkinson, striking him three times before they rushed to resuscitate him. “On these facts, the agents and officers were justified in reasonably fearing for their lives and the lives of the people on the baseball field,” the report states. Porter found that the officers “prevented innumerable deaths” by using deadly force. Under Virginia’s self-defense laws, a person can use deadly force when they perceive an imminent threat of death or serious bodily injury to themselves or a third party. “Not only were the actions of the agents and officers reasonable, they were obligatory in light of the overwhelming and determined force employed by the suspect,” Porter wrote.